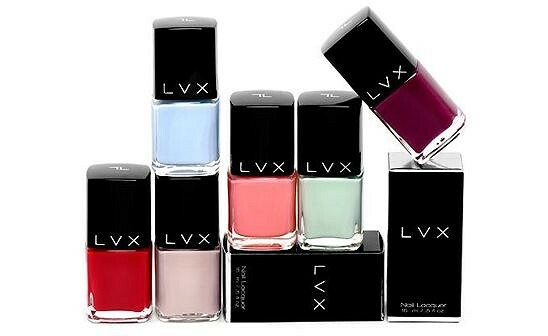 Branka Tomic, the founder of LVX, struggled for years to find a truly great nail polish that was made without compromise, so she set out to create a polish line that would be unique and and loved by all. Branka's background in fashion inspired her to incorporate runway and color trends into the LVX's core values and vision. The company's unique color collections are meticulously selected to be the season's top colors, as well as the perfect complement to your wardrobe. On the other hand, Branka is committed to creating palettes that exceed seasonal trends while maintaining a timeless essence. The line educates consumers about each season's color trends and provides them with a polish that is truly with the times. LVX's long lasting, chip resistant and non-streak formula is free of toxic and harsh chemicals. The products are formulated without the use of Formaldehyde, Formaldehyde Resin, DBP, Toluene, and Camphor. The company is devoted to providing you with top quality, socially responsible, and vegan-friendly, luxury products without compromising quality, durability and finish. Stay in loop with the latest fashion colors and get ready to show off this year's latest trends. Branka Tomic, the founder of LVX, struggled for years to find a truly great nail polish that was made without compromise, so she set out to create a polish line that would be unique and and loved by all. Branka's background in fashion inspired her to incorporate runway and color trends into the LVX's core values and vision. The company's unique color collections are meticulously selected to be the season's top colors, as well as the perfect complement to your wardrobe. On the other hand, Branka is committed to creating palettes that exceed seasonal trends while maintaining a timeless essence. The line educates consumers about each season's color trends and provides them with a polish that is truly with the times. LVX's long lasting, chip resistant and non-streak formula is free of toxic and harsh chemicals. The products are formulated without the use of Formaldehyde, Formaldehyde Resin, DBP, Toluene, and Camphor. The company is devoted to providing you with top quality, socially responsible, and vegan-friendly, luxury products without compromising quality, durability and finish.